Odyssey FZGS10MIX Glide Style Mixer Case DJParts - All Variety of Parts that DJ Needs. 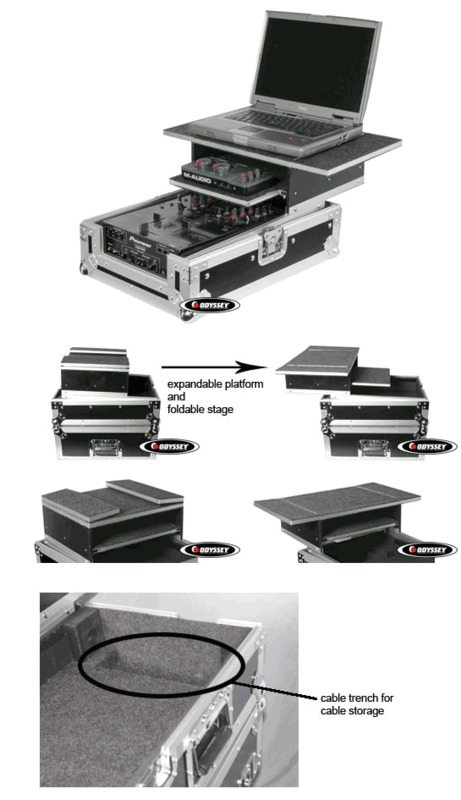 Check out the latest entry into our family of Patent-Pending Glide Style Mixer cases featuring an all NEW dual sliding laptop platform mounted up above the mixer compartment. Incorporated also into FZGS10/12MIX case is an extra deep mixer well area making for plenty of room for cables and power supplies. Made of 3/8" black laminate and backed by our limited lifetime warranty.